Greetings everyone, so today I would like to proudly present you DeadRavine server. 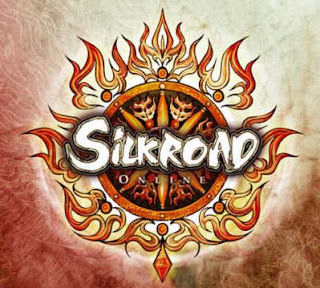 Our team is dedicated silkroad players, who started to explore this wonderfull world in the beggining of the game, so we know to make this game more enjoyable! But less talk, more action! Races: Both Chinese and European races (European character starting location is Jangan, inventory expansion quests are now located also in china). *Rates are REAL 15x, not less, not more. China, Western China, Oasis kingdom, Taklamakan map only! Custom Lost Lake region and special fancy shop in it. Both CH & EU races. Cerberus and Captain Ivy uniques transfered to China and Western China regions. Reverse Oblation cooldown increased to 2 minutes. Capture the flag every 2 hours. Autoprotecter can be bought in grocery shops. X-large potions removed from the game. SoX items removed from Magic pop. Expert Package Ticket in the Item Mall. Downhang income tax goes to Bandit fortress. Forgotten World, Battle arenas removed. Increased elixirs, stones & elements stack. New launcher & intro screen. If you have any questions, suggestions, advices or just want to tell your opinion about the server, feel free to do it just right here! We are still improving it to make gameplay even more enjoyable, so wait for epic updates! PlaySRO Community is proud to present its latest addition, ZEUS server. ZEUS has reached a record peak of 1000 players in the first 5 minutes. We will increase the server capacity as soon as possible..
Trade rates increased by 10x. Stackable limit of arrows increased to 1.000 units. 24/7 Live Chat & Email support in case of scam or fraud. ------------------------------------------------------------------------------------------------------------------------------------------------------------------------------------------------ Why would you start on Zeus? Many of you are in search of a big and fun community. If i'm not right, at least for a good and stable server. Most of the servers are unstable, under attack, laggy and full of bugs. We can offer more than that. If you have played on our first server Heaven you will know that our succes is based on professionalism and seriousness. We can provide an amazing tehnical & gameplay support and an amazingly stable and secured server where you can be safe for the next following active years as gamers. ------------------------------------------------------------------------------------------------------------------------------------------------------------------------------------------------ What will you receive if you join Zeus? If you have a bug with teleport or something please check your account management you will see " Get your character out of bug! " and then submit the query your Position will be replaced to another. Q: How can you afford this server for a long term? 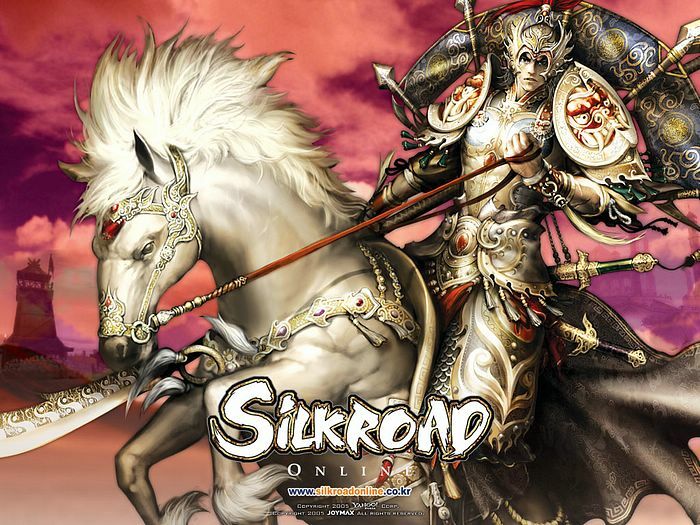 A: I have my connections to dedicated servers, I am just trying my best to make sure that there are stable free servers, since on every advertising thread there is someone posting "free silk?". Q: its a BETA testing are you going to wipe the server? Q: How long is this server going to be out? I don't want to play any short term servers anymore! A: This server will be out there until the players all leave, and silkroad get's boring for everyone. Q: Are you going to update this server with new things? A: Yes, I will develop my own new things, and if there are cool things released, of course I will update this server daily with new updates. Q: Are there weekly server inspection like iSRO? Or is there random update times? A: There will be a time set weekly to update everything, and new avatars weekly should be added. (custom) and or (previously released on iSRO). Q: Do we have to donate to be the best player in the server? A: No you do not, there are plenty of other ways to become top in server, we are selling Top Coins which can buy you cool avatars and etc, but Battle Arena is always the second option for getting Coins. Q: Do you guys have any cool types of events in mind? Unlike unique's 24/7? A: Yes we do, we have a nice team that can discover / develop our own types of events. Q: Are there custom titles for doing such things in-game? A: Yes there will be, for the players who donate 50€ and above will be able to pick their own custom titles, as long as it's not past 12 characters, and not racism or anything against the rules. Q: Can we sell in-game items for real money? Or for in-game currency only? A: I don't mind selling items for real money, we just don't support for scam's if the case was for real money, because we cannot do anything ask the player to give your money. Q: Do you guys support bots? And if selling a certain type of bot for gold get scammed, support on that? A: We do support bots. And if your selling a bot for gold, and you get scammed, that's up to you, once against we cannot do anything more than ask the player to return your currency. Q: How can we be sure there won't be any corruption in the server? A: Nobody except for me and [Geo] the developer has the dedicated server password, and the rest of the [GM]'s cannot make items, what-so-ever. As I will be checking the logs of [GM]'s daily to figure out what's going on, I will monitor this game-play securely and 24/7. Q: How do we know you won't corrupt your server? A: I have many other things to do rather than play my own server, I am beginning development of my second server right now as well, no time to play my own server. Q: How long does it take until we receive our currency? A: Normally minutes to hours, but depends on the payment option you use, ( as you all know Paypal takes the longest due to charge back issues ). Q: Are you guys recruiting for support? A: We might begin recruiting for in-game support later on, depends how the server does. Hello Everyone! After a lot of work and testing we have finally finished Developing SxSro Online. It is a High Rate PvE/PvP fun server that is not based on donations only. I am sure you will have a great time. Good evening everyone. I would like to present my server that is finally finished. During the next 4-5 days we will be in BETA testing, but after that we will NOT reset the accounts, you will keep your accounts, and free silk will still be applied. We are not like the other servers out there, I have a 18 month contract with my community, so this is planned to be a long term server, not a short term server like most of them around. This is not going to be our only server, just the first out of many others. 120 Level Cap & 120 Skills & Fellow Pets & New Maps & Custom Quests & Custom mobs. Vote4Silk for First 200 Players can get 20Silk per 12Hour + 1Silk per Hour+ Randomly selecting on 10 silk every an hour ! Q: After the BETA testing are you going to wipe the server? A: No. It is not a beta server. Never going to wipe DataBase. We even do back-ups every hour to make sure nothing is lost. A: This server will be out there for a long time, don't let that be your worry. A: There will be a time set weekly to update everything and back-up the data. New avatars will be added weekly. (custom) and/or (previously released on iSRO). Q: Do we have to donate to be the best players in the server? A: No you do not. There are plenty of other ways to become top players in the server. We are selling Top Coins, with which you can buy you cool avatars etc. Battle Arena is always the second option for getting Coins. A: Yes we do, we have a nice team that can discover/develop our own types of events. Our Staff will make sure you will have lots of events and a great time. A:I wouldn't like any of you to get scammed, so for the sake of not making trouble for everyone I will forbid that. Q: Do you guys allow botting? A: We do allow bots. We disallow bug abuse through third party programs though. A: Every Staff Member is an Experienced Person with a Moderating History. You don't have to worry about that. I personally check their moves every once in a while. A: I have many other things to do rather than play my own server, I am beginning development of my second server right now as well, but I'll crash along sometimes to see how things are going.